Hot glue guns provide almost instant gluing of materials. This is a cost-effective tool that guarantees a high quality and long-lasted result. Besides, they are eco-friendly and safe for your health. 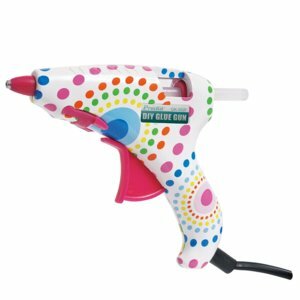 Glue gun for small DIY works and hobbies. Fast preheating: 5-7 min. 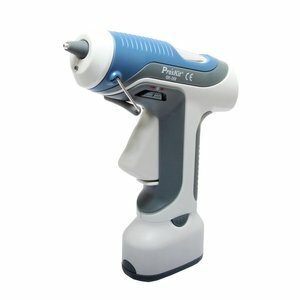 Power: 10 (20) W.
Solid state electric glue provides a fast, easy way to dispense hot melt adhesive for hundreds of fastening and repair jobs. 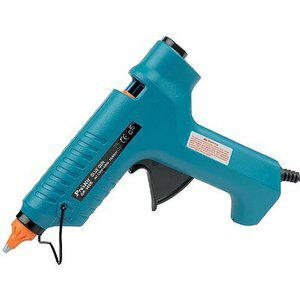 Cordless battery operated hot glue gun which is perfect for quick repairs, DIY projects, wood crafts and more.